← 2014 Father’s Day Seasonal!! 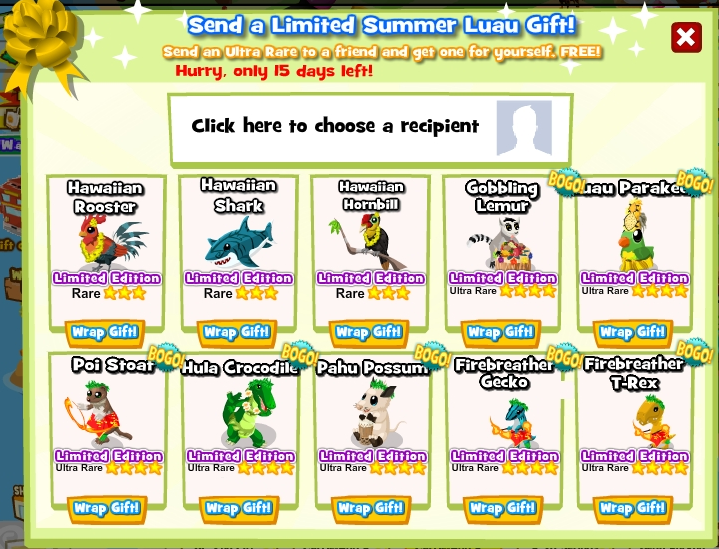 2014 Limited Summer Luau Gifting Tree!! Dr. Zoolittle says “Aloha” from Hawaii! Join in on the luau with new party friends as you explore the sights and sounds of these beautiful islands! BOGO has returned for the new 2014 Limited Summer Luau Gifting Tree! Send your Zoomates any of the 7 Ultra Rare animals and get it for yourself, FREE!